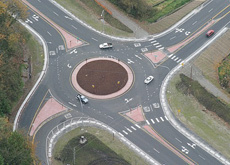 The first time I ever saw a roundabout was when I was riding my road bike in Ireland, streaking into the town of Cork. All of a sudden I found myself in this circular juggernaut, riding the “wrong way” on the left hand side of the road as per Irish road rules, and battling cars coming from all directions. Somehow I found my way through and it spat me out the other side where I had to stop and take a mental breather. It is my personal opinion that roundabouts are a cruel Halloween joke foisted on the public to cause strain and stress in an already volatile driving situation. Somehow engineers think that these roadway puzzles are helpful in relieving traffic situations but in my time on the road since Cork, I have seen nothing but potential mayhem ensue. Three of them in a row in Glens Falls, N.Y. For what purpose? One right in the middle of the main drag in Kings Beach, Nevada. Costing the taxpayers millions of unnecessary dollars. Then there is the infamous one that I navigated this past weekend in Westfield, N.J. for my nephew’s wedding. Driving through that circular death trap is nothing short of harrowing. New Jersey drivers are aggressive to begin with and when you couple that with a roundabout situation where they come at you from all directions, the white knuckles come out on the steering wheel, the language deteriorates, and you hang on for dear life. Here comes one racing in hot from the left…………..HORN……….incoming from the right…….no quarter at all……..the guy gives you the bird…………Hang on, the guy on the left is still coming hard…………make it to the third exit…………HORN………….another friggin HORN……Whew…………I made it!!!!! Whenever I make it past Easton, Pa on my way to visit my sister, it is game on. I tell Molly that she and her fellow Garden State drivers are not good enough to drive that fast and cross four lanes without even looking. No wonder there are 21 car pileups on Interstate 78 headed east in New Jersey. I find myself uptight when visiting my sister because there are too many people over there and the drivers will cut you off without blinking an eye. I leave room between me and the car in front and in New Jersey, that is a license for 5 cars to squeeze in front, barely missing my front bumper. As my co-worker Jenni MacDonald says, ” Pat, turn signals are a sign of weakness.” She drives in Seattle and LA. Enough said. 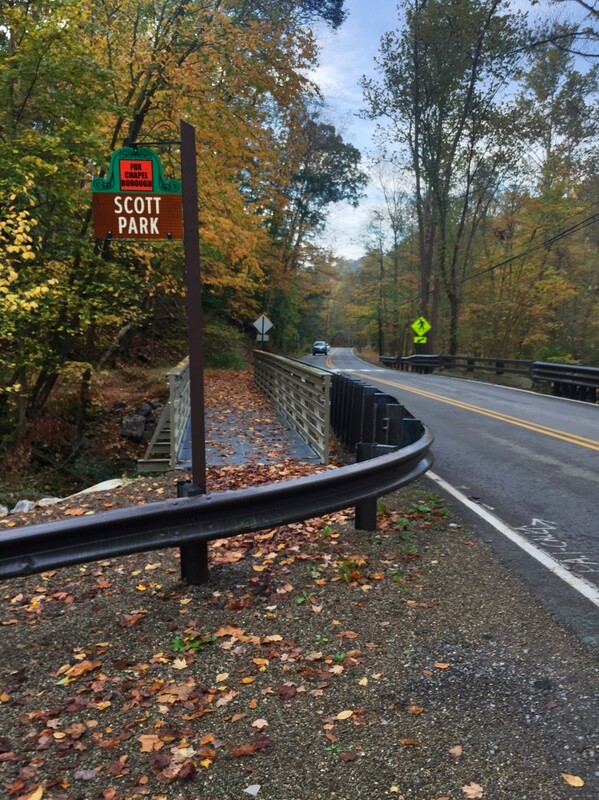 Fortunately, I only had to drive the demonic roundabout in Westfield once this weekend and as I left on Sunday morning making my way back to the ‘burg, I felt the relief in my shoulders and my demeanor getting more calm as the miles went by. I tend to be a conservative driver much to the consternation of my family. My son Jack always correlates my conversation with the speed of the vehicle. He says, ” Dad, as you make your conversational points, your foot gets farther and farther from the accelerator and you become dangerous.” Whatever! As I move on in life, the stress created in places like New Jersey is less appealing. Don’t get me wrong, I always like to see my sister and her family and there are nice things to appreciate in Jersey. But the drivers are nuts. Western Pennsylvania is miles from the mayhem of the east coast. I have many ways to commute to my workplace and I always choose the road less traveled. 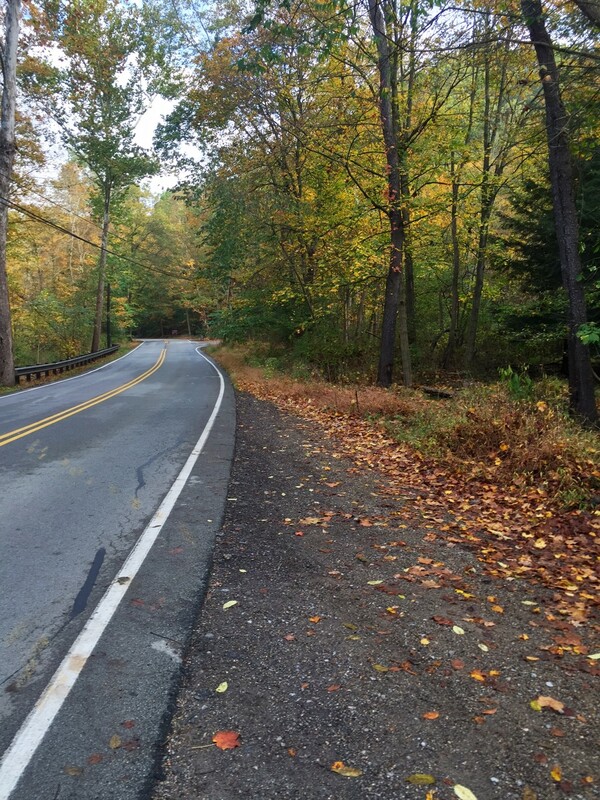 My route is non-stressful and bucolic in a way, especially this time of year. I appreciate the back roads draped in the changing canopy around me. As I calmly navigate the back roads to work, sometimes with the SPA channel on Sirius XM gently soothing me on the way,(I know, I am a dorc), I think about how relieved I am not to live and work on the east coast where I would fight the dragons of the roadways,choking traffic, and face the evil roundabouts that troll for drivers like me. The devil himself lives in the center of those circular tempests and delights in frightening the uninitiated. No Halloween horror movie could be better scripted that the PA. driver in the middle of the Westfield roundabout. So my advice is, drive safely, heads up for the maniacs, and steer clear of roundabouts if at all possible. Thanks for reading. This entry was posted in Aging, American Culture, Driving, Humor and tagged N.J, SiriusXM Radio, Westfield. On our trip in Ireland, Jack had to negotiate a roundabout just after leaving Shannon airport while he was first coping with driving on the “wrong” side of the road. After each day of driving through Ireland, I needed a couple pints of Guinness to relax. I still like to have a Guinness now and then while recalling the crazy roads in Ireland. We tried to navigate a Rand-a-bat (Pittsburghese) on Grand Cayman using the left side of the road. After regaining our composure, we took the car back directly to the rental agency after having it only 25 minutes. Now whenever we hit a Rand-a-bat, I yell Rand-a-bat!!! and continuously circle the Rand-a- until my wife slugs me in the arm. I remember round -abouts in London. Try that backwards one. 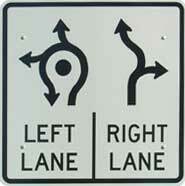 They can be confusing…cute post. Pat! Roundabout building is the new thing up here in vermont, where traffic is really no problem anywhere except Burlington and Stowe. I am with you, most people do not know how to navigate them! The one good thing about them is that sometimes pretty flowers are planted in the center!